So you may have already picked up on this, but I have a serious weakness for anything Spinach and Ricotta. I have a really difficult time passing up any pastries that contain these two ingredients, and have a tendency to over indulge!! So I'll use any excuse to make these babies! I've found these Spinach and Ricotta Rolls are great for toddler lunches and kids or adult parties as well. They are really easy to make, and they aren't full of potato or rice fillers like a lot you find at the shops. Pre-heat the oven to 220 degrees celsius (425 F). 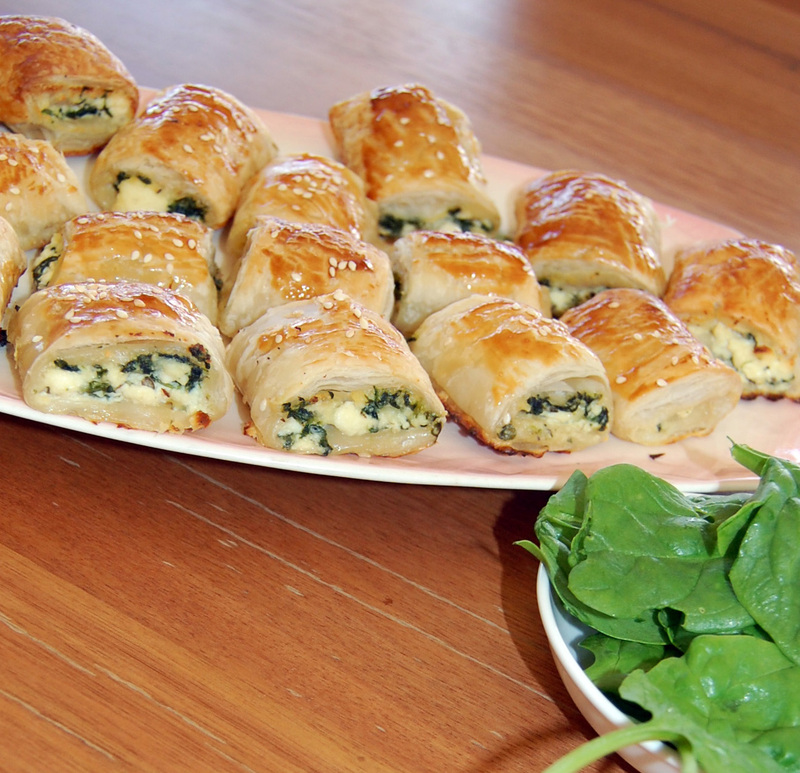 If you have fresh spinach you need to steam it until it is soft and mushy, then drain and chop. Mix the ricotta, cheddar, oregano, tarragon, 1 egg, spinach, salt and pepper into a mixing bowl, and make sure it is all mixed through. Fold the sides over so they overlap and then cut the long roll to make smaller rolls. Any size will work. Flip them over so they are 'seam' down on a tray covered in baking paper. Brush some more egg yolk over the top so they brown nicely. Then put the tray in the oven for 15 minutes on 220C degrees and then reduce to 180C (350F) for another 15 minutes. They should come out looking like you see in the picture! 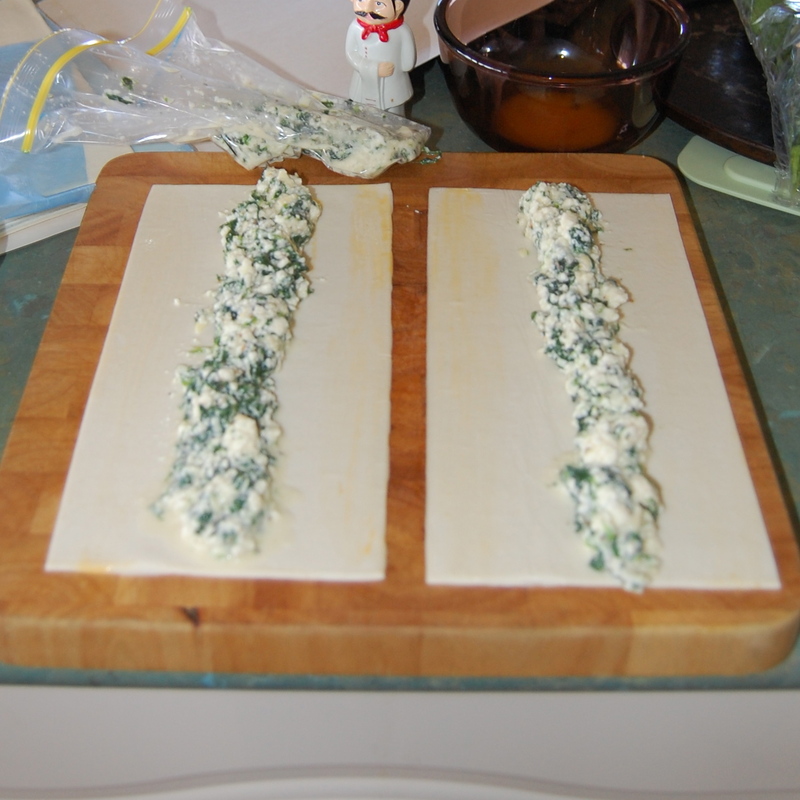 Spinach and Ricotta Lasagna recipe too! I hope you love them as much as we do!! 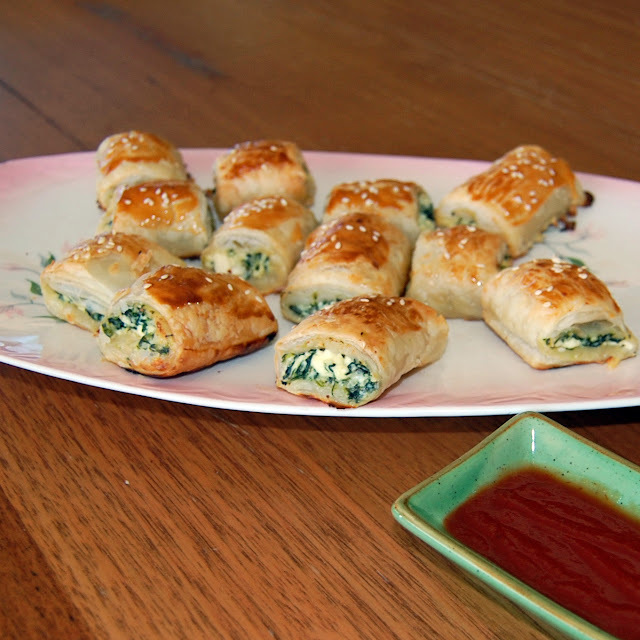 9 comments on "Spinach and Ricotta Rolls"
You had me at ricotta. Sadly I'm not a ricotta fan, but they look good! Oh yum! 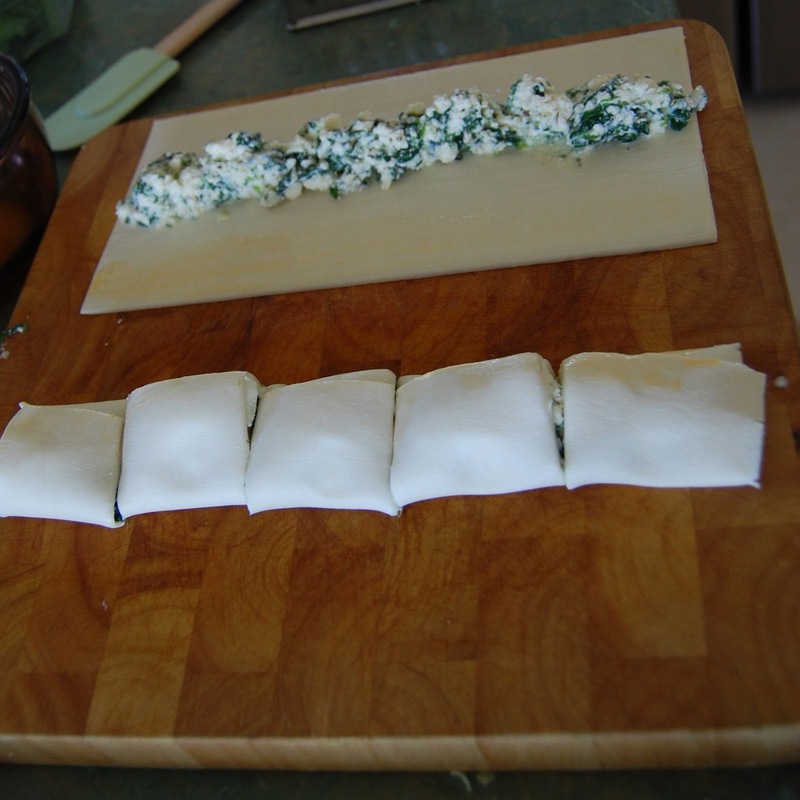 I've been looking for a spinach ricotta roll recipe! thank you, thank you thank you! Can these baked and then frozen? What is the dipping sauce and sesame seeds on top of rolls? The recipe says to bake at 425 degrees and then reduce the temp for the remaining 15 minutes but I don't see how many minutes you initially start out with? Want to do these for my wee man's 1st birthday. Do you think I could make them up the night before, put them in fridge overnight and Bake the next day?